This is the homestretch for reviews of the October horror movie marathon we’ve dubbed 31 Nights of Horror! This last part takes us all the way to Halloween night. For Night 22 we go back to 1972 and a horror anthology from the UK. 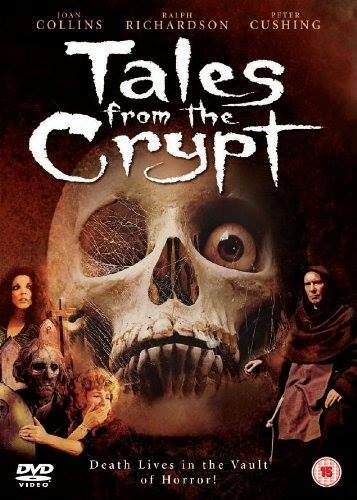 “Tales From the Crypt” takes the classic stories from the EC horror comic books of the same name that had its heyday in the 1950s. Five horrific stories ripped right from the pages! Joan Collins deals with disposing of a murdered body while being stalked by another murdering creep dressed as St. Nick; a cheating husband getting his on a fateful turn; the late great horror virtuoso Peter Cushing in a zombastic tale of revenge; a new twist to the classic Monkey’s Paw story; and finally another tale of blind revenge with a wall full of safety razor blades! All these presented by a very punless Crypt Keeper played by another British cinematic royalty member, Sir Ralph Richardson. Another Friday night, another double feature. For night 23 I indulged in a double-dose of horror masterpieces. These aren’t classics because of the quality of the films but because of the regality of the author of the adapted works, Edgar Allan Poe; its interpreter, Vincent Price and the director of one of the two films, Roger Corman. 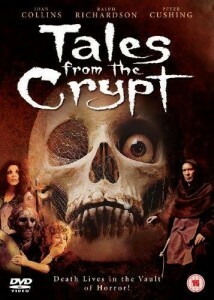 The first film is an anthology of stories loosely adapted from Poe’s works, Roger Corman’s 1962, “Tales of Terror”. Each story is based on a Poe story while borrowing from his other stories and poems to round out the screenplay. Vincent Price gives an effortless display in bringing to life the anguished characters of the each story. 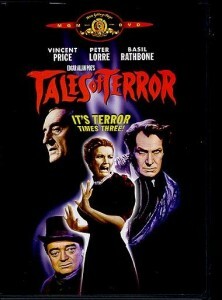 Equally impressive are the late greats Peter Lorre, Basil Rathbone and the beautiful Joyce Jameson. The second film is a hard to find treasure that was created for TV. The quality of the copies that exist are poor but it does not detract from the enjoyment of the masterful performances of Vincent Price in 1970s “An Evening with Edgar Allan Poe”. 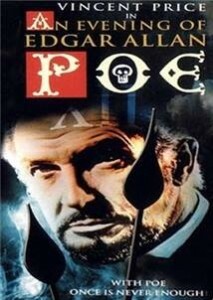 In this anthology we again revisit classic Edgar Allan Poe stories, but these are not adapted or a rewritten teleplay. Vincent Price presents a one man performance of the actual stories almost word for word. It is hard to describe how wonderful the story comes to life with his exquisite voice and masterful delivery that builds tension without any props, sound or special effect! A master on the stage giving an incredible performance. On night 24 we find out what happens when Science tries too hard to create a virus to fix a social disease and it goes awry. The social disease was rage. The end result of the virus, it induced extreme rage rather than cure it! 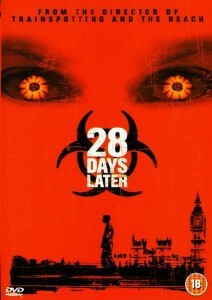 The movie is, “28 Days Later”. 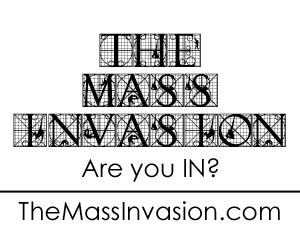 This submission from the UK provides Horror fans with a new direction of zombie behavior and zombie apocalypse. First of all, the deranged villains are not undead zombies, they are infected. The infection travels through blood contact of the slightest kind. Almost immediately the new host becomes infected, enraged and moves quickly on a murderous campaign against anything that moves. A truly horrifying scenario that thankfully is contained on a British Isle. Or is it???? We go way way back on the 26th night for a dose of Comedy mixed with Horror. 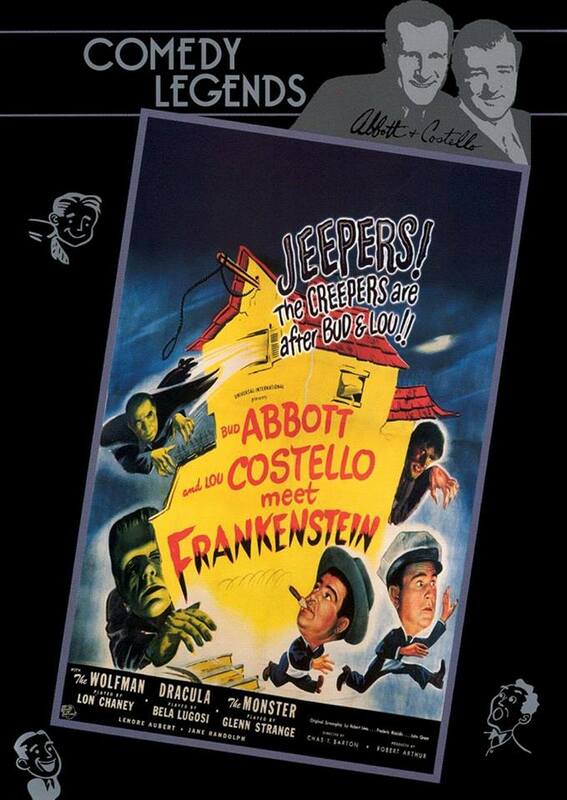 And who better to give us the most delightful romp through the woods, creepy warehouses and gothic castle, chased by a Universal Monsters trio but the masterful comedy duo, Abbott and Costello. This is the fabulous 1948, “Abbott and Costello Meet Frankenstein”. Before anyone starts complaining, this is a Horror film in that it has a horrific story of kidnapping for brain removal and monster reanimation with some vampire seduction thrown in. It also has Universal’s stars Bela Lugosi, Glenn Strange and Lon Chaney Jr. reprising their monstrous roles as Dracula, Frankenstein’s Monster and the Wolfman. There is spookiness and death in this film. But also there is the undeniable comedic greatness of Abbott and Costello. And a voice cameo from the great Vincent Price! A Horror/Comedy jackpot! 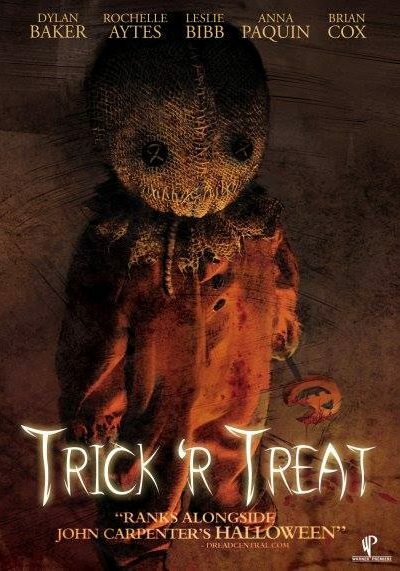 On night 27, and seeing how close we are to Halloween we go with “Trick R Treat” from 2007. A film that masterfully weaves spooky stories into an anthology of Horror with a big payoff. Where other horror anthologies are content with linking the stories together from a narrator’s (or Crypt Keeper’s perspective) this film organically links all the stories together through their individual plots. Wonderfully slashy, horrifically scary and painstakingly spooky, this film uses every horror element without being obviously campy. The jumps are scary, the sounds are spooky and the entire film is downright creepy, right down to that burlapped hooded freak, Sam! I know I am going to catch some hell for night 28’s selection. 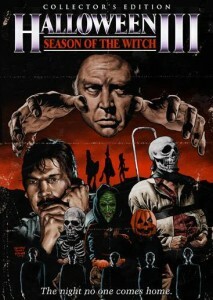 It is “Halloween III: Season of the Witch”. 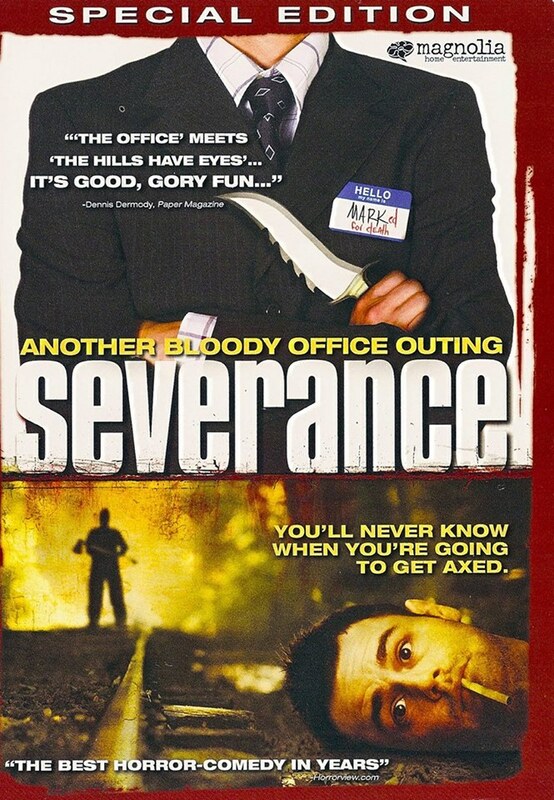 A hugely divisive film in the Horror community, but I feel that it is trashed for all the wrong reasons. First, everyone should forget that ‘Halloween’ is in the title. By now, everyone knows that this is not a ‘Halloween’ canon story. Originally, John Carpenter of “Halloween” fame had envisioned a yearly anthology of horror stories told under the “Halloween” banner but not related to Michael Myers. This one was supposed to be the first of that. Obviously, it didn’t pan out. If it were to be judged on its own merits as an original story and title, “Halloween III: Season of the Witch” is not an awful film. Sure it isn’t the most expertly crafted Horror film, but then again not all horror classics are. It’s not great, but on its own, without the “Halloween” banner, it’s not bad. 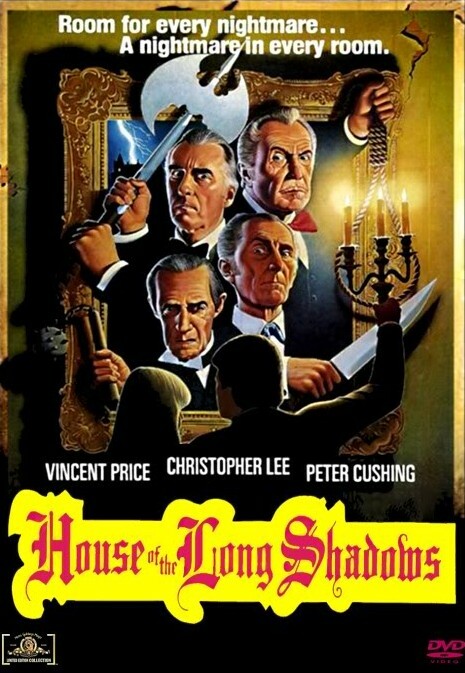 “House of the Long Shadows” was the choice for night 29 of my 31 Nights of Horror. It has the distinction of being the only ghoulish gathering of Horror’s royalty in the same movie and sharing scenes. 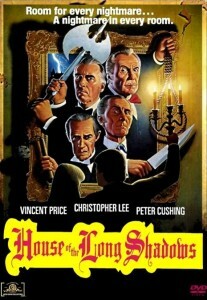 Vincent Price, Peter Cushing, Christopher Lee and John Carradine all starred. Their presence saves this movie from its slow pacing, soft script…and Desi Arnaz Jr. A shame that these masters of the macabre didn’t have a better crafted film, but they shine and save it overall. One more night until Halloween, so on this unholy eve, Night 30 offered a special feature of the creme de la creme of Horror. First up the introduction of a new villain that will become a face of the genre, Freddy Kruger. 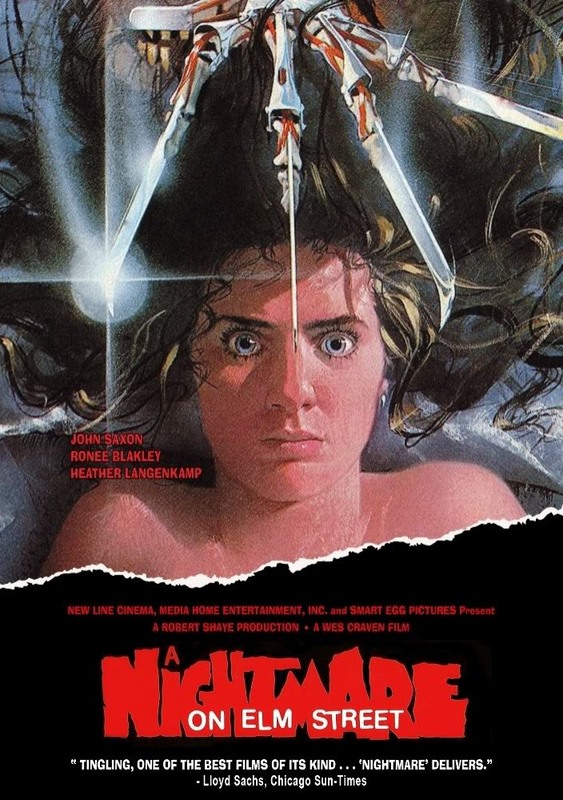 Of course it is Wes Craven’s, “Nightmare on Elm Street”. Three, four, never sleep no more! We meet Freddy at his most gruesome and least punniest. This is a heartless killer from which there is no escape, he invades dreams! And then he slices and dices. He turns Johnny Depp into a bloody bedroom geyser! Next up is the film that wrote the book of the Undead. “They’re coming to get you Barbara”. Of course it is George Romero’s masterpiece, “Night of the Living Dead”. Filmed in glorious black and white, lending it a hint of the Horror legacy of ghouls from earlier years, George’s monsters are like no zombies that had been experienced yet. 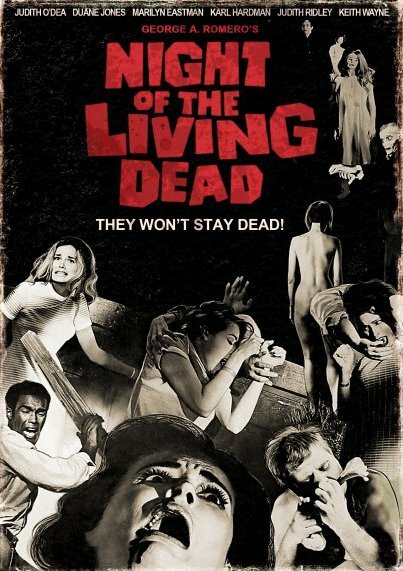 Relentlessly lumbering and gathering and surrounding a small group of survivors thrust together in a desolate farmhouse, these zombies spend the first night of the apocalypse reaching out for a bite to eat. Rounded out with a very somber ending, this film marked the genesis of all the zombie tales to follow. 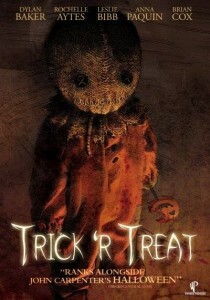 It is here, Halloween, October 31, the final night of my horror marathon! What movie could possibly justify sharing the stage with the spookiest, creepiest and scariest of nights? The only movie in my list that could bookend “The Exorcist” which started this list 31 nights ago is the masterpiece from legendary horror meister John Carpenter, “Halloween”. Brilliantly crafted and paced, this genesis movie to the wave of slasher, relentless killer movies to follow was made on the smallest of budgets. 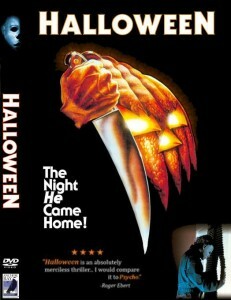 John Carpenter delivered a Horror gem for the ages, introduced us to Michael Myers and gave us a queenly Scream Queen.